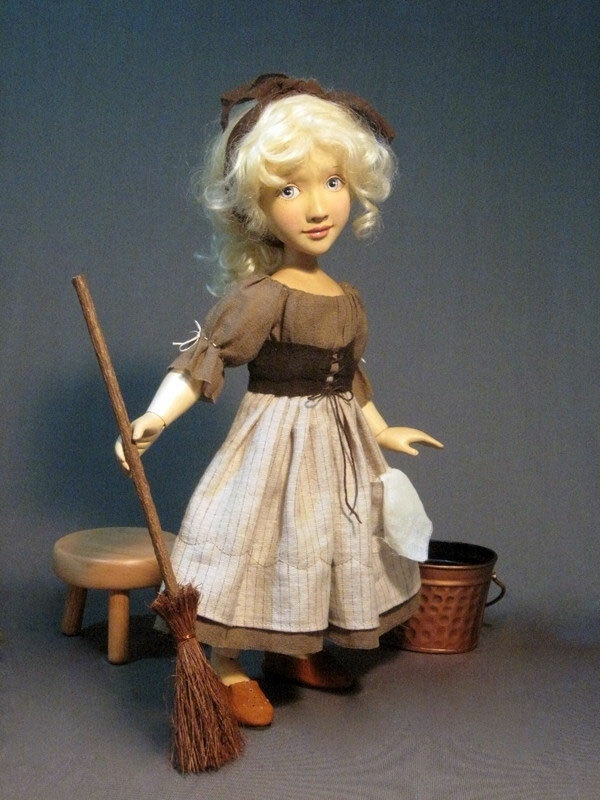 The beloved story of Cinderella is brought to life with this little 13″ doll. Cinderella is depicted before she is transformed into her ballgown, as the dingy sculler maid, picking up after her wicked step mother and sisters. in a tattered dress of cotton and linen carrying her pail and broom, she is about to clean the fireplace hearth. The canvas giclee shows the hearth she is about to set work on. She comes with a tiny stool so she can take a rest from her dreary work day. We have only one Cinderella available immediately.